These equipments are usually semi-automatics machines and getting more and more popular among customers for a simple reason: 'coffee to go'. While some of these machines can be fitted with base cabinets or payment systems, this is not normally a prime function. You may choose between brand new equipment, refurbished or used ones, according to your current needs or budget. Table top coffee machines There are 14 products. In this section we offer brand new table-top coffee machines of last generation and tehnology; over the years we have refined our catalogue of machines to make sure we only offer a selection of the best hot drinks machines available. Nevertheless, trading brand new machines is not our core business, so we supply them only on demand, delivery taking up to 30 days time. These equipments have been carefully hygienized and reconditioned with worn or damaged parts replaced and are being sold completely clean, revised, tested and set to correct parameters of working. We strongly recommend these machines to end-users or to customers which are runing different businesses, don't have the knowledge or a proper technical support in this field and also to those who are starting-up a business with vending machines and are making their first steps. 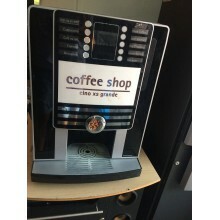 Often, used coffee machines are complete and workable machines, taken out from locations from all over the Europe. Most of the machines are not cleaned and unrevised and will be sold 'as they are'. No warranty is given. For our very low prices we are not offering reparation and setting service included in the standard price, but we can carry on this job at extra cost, usually 75-125 euro/unit. By their nature, used coffee machines can vary in quality and price; however, when cost is paramount, these equipments can offer a good alternative solution. Necta Koro Es, second-hand, good condition, complete but unrevised. No VAT included. Wittenborg 7100 Es Maxi, second-hand, good condition, complete but not tested and unrevised. No VAT included. Wittenborg 7100 Es, second-hand, very good condition, complete, tested but not revised. Price without VAT. Rhea Cino XS Grande second-hand, optimum condition, B2C version, complete and working condition, not revised. No VAT included. Necta Krea beans, second-hand, very good condition, complete but not revised. No VAT included. 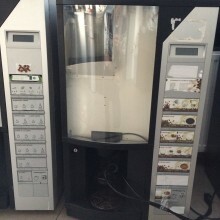 Exclusive Necta second-hand coffee machine in very good condition, 2 x grinders, 3-4 soluble tanks, MDB, year 2013-2015, TOUCH-SCREEN model, Z4000 brewing unit, complete, not revised. No VAT included. 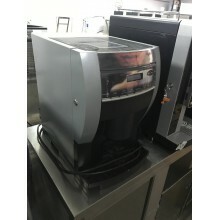 Aequator Brasil table top coffee machines, B2C version, perfect condition, complete, tested and fully refurbished. No VAT included. Animo Optibean New Generation - automatic coffee machine, last generation of beans coffee machines with Ready keypad control panel. Standard version includes a bean hopper plus 2 instant powder canisters. Price without VAT.